Nieves & Nieves LLC, Applicant, filed an intent-to-use application to register the trademarks PRINCESS KATE and ROYAL KATE. The Trademark Trial and Appeal Board refused to register the trademarks PRINCESS KATE and ROYAL KATE for clothing, jewelry, handbags, and bedding on the grounds that the trademarks falsely suggest a connection with the Duchess of Cambridge, Kate Middleton. The Trademark Trial and Appeal Board found the trademarks to violate Section 2(a) and furthermore violated Section 2(c) because the trademarks include a name of a living person, Kate Middleton, without her consent. The Examining Attorney submitted evidence from foreign news sources, which had probative value because this case concerns perception of the United States public regarding the identity of a celebrity. 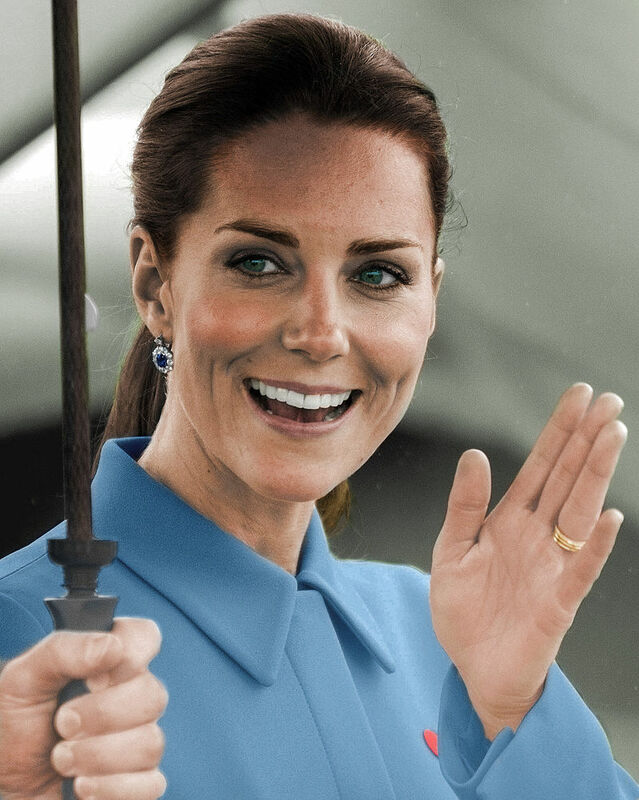 (4) whether Kate Middleton's name is of sufficient fame or reputation that when the trademarks are used with applicant’s goods, a connection with her would be presumed. The Applicant argued that the trademarks PRINCESS KATE and ROYAL KATE are not similar to Kate Middleton’s name because she is a duchess and not a princess. However, a term can be considered the identity of a person even if her name is not used. Various media sources have referred to Kate Middleton as “Princess Kate” and “Royal Kate” thus making the trademarks close approximations of the identity of Kate Middleton. The trademarks PRINCESS KATE and ROYAL KATE unmistakably refer to Kate Middleton because she was known as a fashion trendsetter. The Trademark Trial and Appeal Board found that both the trademarks falsely suggested a connection with Kate Middleton and affirmed the Section 2 (a) refusal. The Board refused registration of the trademarks on the grounds that Kate Middleton, as a member of the British Royal Family, was the subject of public interest. Her identity was of sufficient fame that when the trademarks are used it is likely that people will connect them to her. Section 2(c) bars registration of a trademark that has a name identifying a living person except by his or her written consent. Consent is required only if the person named in the trademark will be associated with the trademark either because: (1) the person is so well known that the public would reasonably assume a connection between the person and the goods or services; or (2) the individual is publicly connected with the business in which the mark is used. It is important to note, however, that when the person is famous it is not necessary to show a connection between the goods and the person. The Trademark Trial and Appeal Board held that the trademarks PRINCESS KATE and ROYAL KATE consisted of the name of a living person and because Kate Middleton has not consented to the use and registration of the names the TTAB refused to register the trademarks. The Trademark Office reversed a Section 2 (d) refusal to register the trademark QUIK-CHANGE for dumbbell systems finding the trademark is not likely to cause confusion with the already registered trademark KWIK CHANGE for soccer goals. 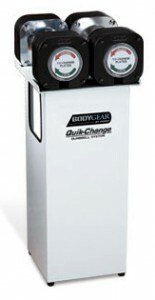 Plaintiff, Hoist Fitness System, applied to register the trademark QUIK-CHANGE for exercise equipment, mainly a dumbbell system with a handle, weights and a stand. The Examining Attorney refused to register the trademark QUIK-CHANGE because the trademark was merely identical in appearance and would be found in the same sporting goods market as the trademark KWIK CHANGE. Applicant pointed out that the trademarks are spelled differently and that the equipment for soccer and weight training are different. Although the Trademark Office agreed with the PTO that the trademarks have the same meaning and pronunciation, the Trademark Office recognized the trademark is on the Supplemental Register, which is an admission that the trademark is descriptive. The Trademark Office therefore took into consideration the descriptiveness of the trademark as well as the fact that the applicant’s trademark is at least suggestive of the fact that its weight is subject to change. The Trademark Office also considered the issue of whether the goods are related and if they are related how closely they are related. The Board pointed out the intent-to-use applications and the non-use based registrations are not entitled to much weight. The most pertinent registrations are use-based registrations but these appear to be house marks. Even though they may show there is some relationship between sporting goods, it is hardly evidence that goods as different as soccer goals and dumbbells are closely related. Just because goods are sold in the same stores or on the same websites does not prove that the goods are related. Soccer and exercise products can be sold on the same website like e-bay without demonstrating that the sources of the products are associated or related. In conclusion, based on the nature of the trademarks and the fact that the goods are not closely related, the Trademark Office held that confusion was not likely between the trademark QUIK-CHANGE and the registered trademark KWIK CHANGE. Here we move on to the seventh factor in the likelihood of confusion (based on the 9th Circuit's view). How much care do consumers pay when purchasing the respective products of the parties? “In analyzing the degree of care that a consumer might exercise in purchasing the parties' goods, the question is whether a ‘reasonably prudent consumer’ would take the time to distinguish between the two product lines. Surfvivor Media, Inc., 406 F.3d at 634. “[T]he standard used by the courts is the typical buyer exercising ordinary caution. [W]hen the goods are expensive, the buyer can be expected to exercise greater care in his purchases . . . .” Network Automation, Inc., 638 F.3d at 1152. Again, the parties present conflicting evidence as to the degree of care consumers of their products are likely to exercise. Top Shelf’s expert opines that kombucha is a “niche product” and that the price point of Clearly Kombucha is high enough, relative to other bottled beverages, to foster a relatively greater degree of care among consumers. (See Silverman Rep. ¶¶ 55-56.) Top Shelf’s founder testifies that its clients are particularly health-conscious, and therefore are more discerning when choosing bottled beverages. (Cargle Decl. ¶ 20.) On the other hand, Clearly Canadian points to evidence showing that Top Shelf’s beverages have been sold at a variety of price points, ranging on the low end from $1.50 to $3.00. (See Supp. Resp. at 12-13). “With respect to small, inexpensive goods . . . the consumer is likely to exercise very little care.” Surfvivor Media, Inc, 406 F.3d at 634; see also CytoSport, Inc. v. Vital Pharm., Inc., 617 F. Supp. 2d 1051, 1076 (E.D. Cal. 2009) (finding a low degree of care with respect to bottled drinks costing between $3.00 and $5.00). A jury reviewing the parties’ evidence could reasonably find that consumers purchasing Clearly Canadian and Clearly Kombucha beverages exercise a low degree of care. Therefore, for the purposes of summary judgment, this factor weighs in Clearly Food’s favor. David Lilenfeld breaks down the likelihood of confusion section of the court's ruling in this trademark infringement case. The case pits CLEARLY CANADIAN against CLEARLY KUCHABU. In this post, the similarity of the trademarks are assessed. Top Shelf also moves for summary judgment on Clearly Food’s trademark infringement claims. (See Mot. at 19-22.) To assess whether a defendant has infringed a plaintiff’s trademark, courts apply a “likelihood of confusion” test that asks whether use of the plaintiff’s trademark by the defendant is likely to cause confusion or to cause mistake, or to deceive as to the affiliation, connection, or association of the two products.”5 Mattel, Inc. v. Walking Mountain Productions, 353 F.3d 792, 806-07 (9th Cir. 2003); see also New W. Corp. v. NYM Co. of Calif., Inc., 595 F.2d 1194, 1201 (9th Cir. 1997). (David Lilenfeld: although the factors can vary from circuit-to-circuit, all eleven circuits require a likelihood of confusion analysis in trademark infringement cases). (David Lilenfeld: Clearly Food brought claims under Sections 32 of the Lanham Act, 15 U.S.C. § 1114(1), and 43 of the Lanham Act, 15 U.S.C. § 1125(a)(1)). (See generally Compl.) Although Section 32 provides protection only to registered marks and Section 43 provides protection to unregistered marks, with respect to proving infringement, the same “likelihood of confusion” standard applies to both provisions. See GoTo.com, Inc. v. Walt Disney Co., 202 F.3d 1199, 1207 (9th Cir. 2000); Brookfield Commc’ns, Inc., v. West Coast Entm’t Corp., 174 F.3d 1036, 1046-47 n.8 (9th Cir.1999). As such, the court’s analysis of the “likelihood of confusion” standard is independent of the prospective outcome of Top Shelf’s cancellation-of-registration claim. See Grupo Gigante SA De CV v. Dallo & Co., 391 F.3d 1088, 1108 (9th Cir. 2004) (“Ultimately, very little turns on the cancellation-of-registration claim because registration is not necessary to establish trademark protection under federal . . . law.”). The Ninth Circuit has developed an eight-factor (David Lilenfeld: the number of factors can vary from circuit-to-circuit, but are non-exhaustive) test to guide courts in assessing likelihood of confusion. Id. (citing AMF Inc. v. Sleekcraft Boats, 599 F.2d 341, 348–49 (9th Cir.1979), abrogated on other grounds by Mattel Inc. v. Walking Mountain Prods., 353 F.3d 792, 810 n.19 (9th Cir. 2003)). The non-exclusive factors include (1) strength of the protected mark, (2) proximity and relatedness of the goods, (3) type of goods and degree of consumer care, (4) similarity of the protected mark and the allegedly infringing mark, (5) marketing channel convergence, (6) evidence of actual consumer confusion, (7) the defendant’s intent in selecting the allegedly infringing mark, and (8) likelihood of product expansion. Pom Wonderful LLC v. Hubbard, 775 F.3d 1118, 1125 (9th Cir. 2014). (David M. Lilenfeld: as the court will point out, all likelihood of confusion analyses are facts intensive). The “ultimate question of likelihood of confusion is predominantly factual in nature, as is each factor.” Entrepreneur Media, 279 F.3d at 1141. Rather than mechanically identifying the number of factors that favor of each party, a court must “consider what each factor, and—more importantly—what the analysis as a whole, reveals about the ultimate question . . . : the likelihood of consumer confusion as to the origin of the product or service bearing the allegedly infringing mark.” Id. At the end of the day, “it is the totality of facts in a given case that is dispositive.” Pom Wonderful LLC, 775 F.3d at 1125. “The greater the similarity between the two marks at issue, the greater the likelihood of confusion.” GoTo.com, Inc. v. Walt Disney Co., 202 F.3d 1199, 1206 (9th Cir. 2000). The Ninth Circuit has “developed three axioms that apply to the ‘similarity’ analysis: 1) Marks should be considered in their entirety and as they appear in the marketplace; 2) Similarity is best adjudged by appearance, sound, and meaning; and, 3) Similarities weigh more heavily than differences.” Entrepreneur Media, Inc., 279 F.3d at 1144. Overall, the court finds that the third axiom—that similarities weigh more heavily than differences—controls the result here. Although Top Shelf has identified certain differences between the marks, a reasonable jury could find that the similarities in how the marks are used in the marketplace and the sound and meaning of the marks outweigh those differences. See Entrepreneur Media, Inc., 279 F.3d at 1144. Therefore, the court concludes that a reasonable jury could find that the marks are similar. As such, for summary judgment purposes, this factor weighs in Clearly Food’s favor. (David Lilenfeld: I am surprised at this result. I think the trademarks are quite different in appearance and sound). 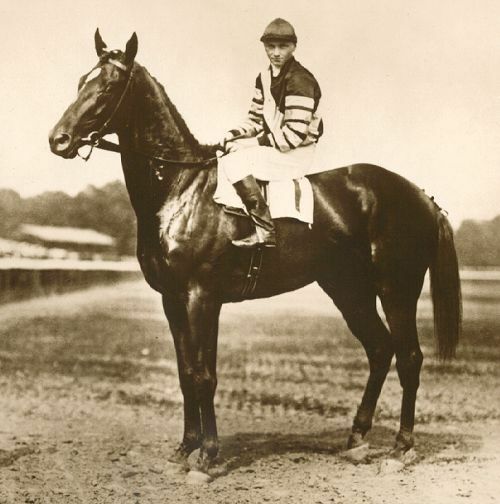 Centex/Taylor, LLC filed an application to register the trademark MAN O’WAR for golf equipment. The trademark was refused under Section 2 (d) of the Trademark Act, 15 U.S.C. § 1052 (d) on the grounds that it resembled the already registered mark, MANOWAR, and thus is likely to cause confusion or deception. The Examining Attorney presented evidence to show Centex/Taylor’s golf equipment and the already registered clothing items are related through third-party registrations. The Examining Attorney successfully demonstrated that the entities had registered a single mark for both golf items and clothing items. According to In re Albert Trostel & Sons Co., 29 USPQ2d 1783 (TTAB 1993), third-party registrations, which include different items and which are based on use in commerce, suggest that the goods may have emanated from a single source. Centex/Taylor admitted the same registrant often offers golf equipment and clothing items with identical trademarks. Also, past registrations serve to suggest that the goods emanate from the same source. Centex/Taylor’s arguments concerning use in the marketplace of the registrant’s mark are not persuasive. An applicant is not permitted to restrict the scope of the goods covered in the registrant’s registration by extrinsic evidence or unsupported statements. Therefore, Centex/Taylor’s unsupported statements do not rebut the Examining Attorney’s belief that these goods are related. Furthermore, since the registered goods are not limited to any specific channels of trade, there would be an overlap in trade channels. While the appearance of Centex/Taylor’s trademark differs slightly from the trademark in the registration mainly because of an apostrophe in Centex/Taylor’s mark, the literal portion of the trademark is identical and the trademark sounds the same. Thus, Centex/Taylor did not persuade the TTAB that consumers would think of a racehorse when the mark is used in connection with golf equipment. “TTAB ultimately affirmed the refusal to register because the marks are confusingly similar, the goods are related and the channels of trade are overlapping. A fairly straightforward decision after all,” said David Lilenfeld, founder of intellectual property law firm, Lilenfeld PC. L.L. Bean sought to register the trademark ORION for fishing rods but was refused by the Trademark Office because the trademark was confusingly similar to the identical trademark already registered for golf clubs. The Trademark Office relied upon Section 2(d) of the Tradetrademark Act, 15 U.S.C. § 1052 (d) likelihood of confusion when refusing to register ORION for fishing rods. L.L. Bean argued that the goods in question, namely the fishing rods and the golf clubs, are not related, that the trade channels cannot overlap, and that the consumers for these goods are sophisticated and discriminating. Applicant also alleged that the use of its house trademark in connection with the involved trademark on applicant’s goods reduces the likelihood of confusion between the registered trademark and the applicant’s trademark. Lastly, L.L. Bean argued that, should there be a finding of likelihood of confusion, L.L. Bean should be permitted to amend its application limiting the channels of trade of the goods to L.L. Bean outlets. On the contrary, the Examining Attorney, Georgia Ann Carty Ellis, contended that ORION is a strong arbitrary trademark for sporting goods, that L.L. Bean presented an identical trademark, and that its use of its house trademark could not reduce the likelihood of confusion. The Examining Attorney relied upon 140 third-party registrations covering golf clubs and fishing rods to show that customers are often exposed to golf and fishing goods sold in the same market. The Trademark Office’s decision under Section 2 (d) is based upon an analysis of the likelihood of confusion factors detailed in In re E. I. du Pont de Nemours & Co., 476 F.2d 1357, 177 USPQ 563 (CCPA 1973). 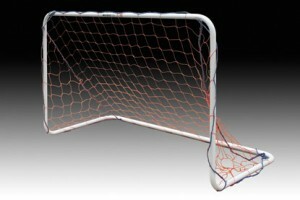 The du Pont factors all favor the position taken by the Examining Attorney that the trademarks are identical. Thus, the TTAB found that even when the relationship between the goods is not as closely related there can still be a finding of common source. There is no per se rule that all sporting tools are related. However, the Examining Attorney noted third-party registrations show that goods can come from the same source and be offered under the same trademark. Regarding the du Pont factor that focused on the trade channels, L.L. Bean argued that it established its own channels of trade because L.L. Bean markets and sells all of its products through L.L. Bean stores, catalogs and websites. The TTAB recognized that even if the goods were not sold in the same store, they would be sold in the same type of stores. Lastly, L.L. Bean offered to amend its identification of goods to limit the channels of trade. The TTAB agreed with the PTO that the amendment was untimely. Nevertheless, even if the amendment were allowed it would not avoid a likelihood of confusion. In conclusion, when consumers who are familiar with ORION golf clubs learn of ORION fishing rods, they are likely to believe there is a connection between the goods. (1) Sovereign Military Hospitaller Order of Saint John of Jerusalem of Rhodes and of Malta and Florida Priory of the Knights Hospitallers of the Sovereign Order of Saint John of Jerusalem, Knights of Malta, the Ecumenical Order. The 11th Circuit Court of Appeals overruled a district court’s decision that one branch of the Knights of Malta committed fraud when it filed its federal trademark application in 1958. Another branch of the Knights of Malta sued for trademark infringement alleging false advertising under the Lanham Act, 15 U.S.C. § 1051 and state law claims for Florida Deceptive and Unfair Trade Practices Act (FDUTPA), Fla. Stat. § 501.201. Fraud requires a showing of the registrant’s awareness of competing marks. The district court found the plaintiff’s federally registered trademark was obtained fraudulently because the plaintiff knew of the defendant’s prior use of the mark. Judge Charles Reginald Wilson of the appeals court first reversed the fraud judgment. According to 15 U.S.C. § 1064 (3), 1119, “a party may petition to cancel a registered mark on the ground that the registration was procured by fraud.” It was held in Angel Flight of Ga., Inc. v. Angel Flight Am., Inc., 522 F.3d 1200, 1209 (11th Cir. 2008) that an applicant commits fraud when he “knowingly makes false, material representations of fact in connection with an application for a registered mark.” Fraud requires a purpose or intent to deceive the PTO. The defendant, the party alleging the fraud, has the burden of proving this claim by clear and convincing evidence. Furthermore, the appellate court overruled the district court’s finding of fraud because the facts show the person who signed the trademark application did not know about the use of a similar mark. If the declarant believes the applicant has a superior right to use the mark, there is no fraud even if the declarant is mistaken. Also, the district court found plaintiff’s failure to inform defendant is evidence of willful blindness. To rule on the knowledge element of fraud, the district court relied upon recent case law from Global-Tech Appliances Inc. v. SEB S.A., 131 S.Ct. 2060, 98 USPQ2d 1665 (U.S. 2011) that willful blindness could satisfy actual knowledge as to liability for inducing infringement. The appeals court rejected the effort to apply this case law to a trademark case because the case law is from a patent law case. Courts do not automatically apply a standard from one area of intellectual property law to another area of intellectual property law. In conclusion, the 11th Circuit found in favor of the plaintiff because a lack of clear and convincing evidence. On remand, the district court misapplied several factors in its analysis of likelihood of confusion, incorrectly assessed the defense of prior use, relied upon testimony that the appellate court previously deemed inadmissible and misinterpreted the 11th Circuit’s instructions about consulting facts outside the record. The Trademark Office reversed a Section 2 (d) refusal of the KID TENNIS mark because they found it dissimilar to the TENNISKIDS mark. Even though the brands are selling nearly identical goods, the Trademark Office ruled that KID TENNIS is not likely to cause confusion with TENNISKIDS. The Board of the Trademark Office disagreed with the Examining Attorney’s belief that the wording of KIDS TENNIS is the dominant feature of the mark’s commercial impression. In this case, the wording as well as the design creates the Applicant’s trademark. Furthermore, the Trademark Office was not convinced that TENNISKIDS was registered in standard character form. The trademark owner’s mark is so stylized that it does not fall within the range of reasonable manners of display that should be reserved for registered standard character mark. Therefore, the Trademark Office found the marks to be visually dissimilar. In regards to how the respective trademarks sound, the Trademark Office ruled the marks are more similar than dissimilar but found the meaning of the marks to be different. The applicant’s mark, KID TENNIS, connotes a character named “Kid Tennis” as opposed to the registered mark, TENNISKIDS, which connotes children who play tennis. “The Trademark Office ruled that the dissimilarity of the marks outweigh other factors, but clearly from the ruling, it was a close call, said, David Lilenfeld of Lilenfeld PC. In this post, David Lilenfeld breaks down the Court's opinion in the trademark infringement lawsuit FN Herstal, S.A. v. Clyde Armory, Inc., in the District Court for the Middle District of Georgia Case No. 3:12-cv-102. The current trademark dispute arises out of the parties’ use of the “SCAR” and “SCAR‐Stock” trademarks in the firearms industry. Unless otherwise indicated, the facts presented below are undisputed. Plaintiff is a firearms and weapons manufacturer incorporated under the laws of Belgium with its principal place of business in Herstal, Belgium.13 Plaintiff manufactures and distributes a full range of firearms and accessories for defense, law enforcement, hunting, marksmanship, and others having an interest in acquiring such firearms and accessories.14 The current dispute arises out of Plaintiff’s development and branding of its SCAR rifle. Pursuant to the Program, USSOCOM specified that the SCAR rifle would be a modular system in two threshold configurations, a “SCAR‐Light (SCAR‐L)” and a “SCAR‐Heavy (SCAR‐H).” 18 Both the SCAR‐L and the SCAR‐H were available in three variants: Standard (S), Close Quarter Combat (CQC), and Sniper Variant (SV). Throughout 2005 and 2006, magazine and newspaper articles tracked the development of the new assault rifle for the USSOCOM Program, highlighted Plaintiff’s role in the Program, and outlined the features and benefits of the different variants and forms of the new SCAR rifle system. [David M. Lilenfeld: just as it is important to discuss what uses each party made of their respective trademarks, it is important to discuss the relevant ways in which each party does not use their respective trademarks]. During these promotional activities, it is undisputed that Plaintiff did not have a semi‐automatic version available for purchase by law enforcement and civilian consumers. The firearms displayed at the tradeshows were fully automatic machine guns, the sale of which is restricted to military and law enforcement agencies only.28 In order for Plaintiff to sell a semi‐automatic SCAR to the civilian market, Plaintiff first needed government approval. [David Lilenfeld: Here, the Court discusses Defendant’s uses of its trademark and the landscape of the trademark battle begins to reveal itself]. Defendant is a firearms retailer and distributor incorporated under the laws of Georgia with its principal place of business in Bogart, Georgia.48 In 2005, Andrew Clyde, Defendant’s CEO and owner, contacted John Klein, the president of Sage International, Ltd., to discuss the possibility of making replacement stock for certain rifles made by Sturm Ruger & Co., including the Mini‐14, Mini‐30, and AC‐556, among others.49 The two followed up with each other in person at the February 2006 SHOT show in Las Vegas to discuss the details of the new product.50 [David Lilenfeld: here we learn that Plaintiff’s product is different from Defendant’s trademark (rifle v. a stock for a rifle. This is leading us down the path of “relatedness” issue). After the February 2006 SHOT Show, Defendant adopted the SCAR‐Stock mark as an acronym for “Sage Clyde Armory Rifle Stock” to refer to the new product and to reflect the collaborative effort behind the product’s design. The testimony regarding the circumstances and purpose of adopting the SCAR‐ Stock mark, however, is somewhat disputed. Mr. Clyde testified that before deciding to adopt the mark, he conducted several searches online through Google and the USPTO’s website to check the availability of SCAR as a viable mark and found no prior use of the mark in the firearms industry.52 However, Defendant has no documentary evidence to substantiate those searches.53 [David Lilenfeld: how often will you have documents to prove a Google search you conducted years ago? This is a tough as. Also, it’s the first indication see of the Judge leaning in Plaintif ’s direction]. M [David Lilenfeld: Another “bad fact” for Defendant. The Court’s leaning begins to be unveiled]. Moreover, at the time Defendant adopted the SCAR‐Stock mark, Defendant was aware of Plaintiff’s participation in the USSOCOM Program to create the SOF Combat Assault Rifle and knew that the acronym for that rifle was SCAR.54 [David Lilenfeld: Well, this next sentence/fact might be the death knell for Defendant. Bad intent is another factor taken into consideration by courts in a trademark infringement case]. Defendant’s former Chief Operating Officer, Joshua Smith, testified that Defendant adopted SCAR‐Stock, in part, to take commercial advantage of the popularity of the SCAR rifles in the firearms industry.55 [David Lilenfeld: Ouch!] Mr. Clyde, however, specifically disclaims any such purpose in adopting the mark. Defendant then filed a Petition for Cancellation with the USPTO of Plaintiff’s '448 Registration for SCAR and Design and an Opposition to Plaintiff’s ‘575 Application 65 Def.’s Statement of Material Facts, Ex. J at CA00021 [Doc. 90‐10]. 67 Umansky Decl. ¶ 12, Ex. 10 [Doc. 89‐3]. The USPTO initially denied registration of the SCAR‐Stock mark because it was merely descriptive of a feature and characteristic of the product. Def.’s Statement of Material Facts, Ex. D, p. 9 [Doc. 90‐4]. The initial refusal explained that a “scar rifle” is a modular rifle created by Plaintiff for USSOCOM to satisfy the requirements of the SCAR Program, and the “scar stock” is a gun stock that is specifically made for a “scar assault rifle.” Id. at 10. In response to the first refusal, Defendant explained that SCAR as used in its SCAR‐Stock mark is an arbitrary acronym for “Sage/Clyde Armory Rifle” and that Defendant’s SCAR‐Stock products are not compatible with Plaintiff’s SCAR rifles. Id. at 12‐13. Thereafter, the USPTO refused registration of Defendant’s mark on the grounds that consumers would likely confuse Defendant’s mark with Plaintiff’s SCAR mark in the ‘448 Registration. Id. at 17.
with Dillais’ name, but the handwritten signature appears to belong to someone else. 69 Def.’s Statement of Material Facts, Ex. J at CA0022 [Doc. 90‐10]. [David Lilenfeld: interesting to me that the lawsuit was filed six years after Defendant began using the allegedly infringing trademark]. On March 12, 2012, Plaintiff filed this suit in the Eastern District of Virginia against Defendant and Sage. Thereafter, the Court dismissed Sage for lack of personal jurisdiction and transferred the remaining case against Defendant to the Northern District of Georgia. Upon determining that Defendant’s principal place of business is located in the Middle District of Georgia, the case was transferred to this Court on August 8, 2012. 71 Id. at pp. 9‐20. 72 Id. at pp. 21‐22. 73 In its Motion for Summary Judgment, Plaintiff represents that it is withdrawing its federal dilution claim. petitions to Plaintiff’s ‘448 Registration and “575 Application. SCAR‐Stock mark and Plaintiff’s lack of bona fide use or intent to use the SCAR mark in commerce. Defendant seeks similar damages and injunctive relief. Accordingly, the Court will limit its discussion to the trademark infringement issues presented. 74 Univ. of Georgia Athletic Assʹn v. Laite, 756 F.2d 1535, 1539 n.11 (11th Cir. 1985) (observing that the standards governing Georgia state law claims for trademark infringement, deceptive trade practices, and unfair competition are “similar, if not identical, to those under the Lanham Act.”); see also Planetary Motion, Inc. v. Techsplosion, Inc., 261 F.3d 1188, 1193 n.4 (11th Cir. 2001) (“Courts may use an analysis of federal infringement claims as a “measuring stick” in evaluating the merits of state law claims of unfair competition.”). SCAR‐Stock mark arguing that SCAR‐Stock is distinctive, and Defendant was the first to use the mark in commerce in September 2006. [David Lilenfeld: Here is a sneak preview of the Court’s ruling – obviously will deny both Parties’ Motion for Summary Judgment]. For the reasons set forth below, the Court finds genuine issues of material fact exist as to which party used the mark first in commerce, and whether the parties’ SCAR and SCAR‐Stock trademarks are distinctive. 75 15 U.S.C. § 1127. 76 Gift of Learning Found., Inc. v. TGC, Inc., 329 F.3d 792, 797 (11th Cir. 2003) (citing 15 U.S.C. § 1125(a)). 77 In addition to the parties’ agreement on the likelihood of confusion issue, the USPTO found consumers will likely confuse the two marks, as evidenced by its refusal to register Defendant’s SCAR‐Stock mark. See Second Office Action, Ex. D, p. 17 [Doc. 90‐4]. 78 Knights Armament Co. v. Optical Sys. Tech., Inc., 654 F.3d 1179, 1188 (11th Cir. 2011). Thus, the Court now turns to the issues of which party first used the mark in commerce and whether their trademarks are distinctive. [David Lilenfeld: this argument by Defendant is a bit bewildering. It clearly is not the senior user of the marks that are in contention. Defendant may be the senior use of its exact trademark, but that is not the question. The question is who is the senior user of the respective marks]. When, as here both parties claim a protectable trademark interest, the Court must determine who used the mark first.91 Not surprisingly, both parties claim to be the senior user of the mark in the firearms industry. Plaintiff argues that it was the first to use SCAR in commerce, as evidenced by its sale of SCAR rifles to USSOCOM as well as its pre‐sale promotional activities for its civilian‐friendly SCAR rifle. Defendant, on the other hand, argues it was the first to use its SCAR‐Stock mark in September 2006 because Plaintiff did not have a semi‐automatic SCAR rifle available for that time. In support of its Motion, Defendant argues the undisputed evidence shows (1) Plaintiff admitted it did not use the SCAR mark in commerce until November 1, 2008; and (2) Plaintiff’s pre‐sale promotional activities constituted unlawful use of the SCAR mark, and thus cannot create a protectable trademark interest in SCAR. Having reviewed both arguments, the Court finds that a genuine issue of material fact remains as to which party used the mark in commerce first. Defendant first argues that Plaintiff cannot claim prior use in its SCAR mark because, in the trademark application giving rise to the ‘448 Registration, Plaintiff admitted it did not use the SCAR mark in commerce until November 1, 2008—over two years after Defendant’s first use of SCAR‐Stock in September 2006.92 Similarly, Defendant argues that Plaintiff alleged in its complaint filed in the Texas patent infringement case that it did not introduce the SCAR rifle until 2009. [David Lilenfeld: wow, I didn't expect this and not sure I agree with the Court, with all due respect, but let’s see the Court’s reasoning]. Plaintiff, however, is not bound by either of these dates. With respect to the patent infringement case, Defendant submits that Plaintiff’s allegation operates as an admission that Plaintiff did not introduce the SCAR rifle in commerce until 2009. Defendant, however, overstates the evidentiary effect of this allegation. Pleadings by a party in one suit do no serve as binding judicial admissions against that party in subsequent litigation, but may serve as evidentiary admissions, which the party may explain or contradict. [David Lilenfeld: this also goes to Defendant’s credibility, which needs to be weighed]. Here, Plaintiff filed its trademark application for SCAR and Design for use in connection with firearms on January 13, 2009, claiming a first use in commerce on November 1, 2008. Now, Plaintiff seeks to prove a first use date nearly four years before the date claimed in its application. Therefore, to overcome Defendant’s arguments and prevail on summary judgment, Plaintiff must show, by clear and convincing evidence, that it adopted and used the SCAR mark in commerce prior to September 2006. Plaintiff argues the undisputed facts show it was the first to use the mark in commerce as evidenced by its (1) actual sale of SCAR rifles to the US Military in 2004 and (2) analogous use of its SCAR mark through pre‐sale promotional activities of its civilian‐friendly SCAR rifle. A genuine issue of material fact, however, exists as to whether these activities were sufficiently continuous and public to allow firearms customers to distinguish Plaintiff’s products from others in the firearms industry. 2008. A reasonable juror could find that a sale to a single customer is not sufficiently public to constitute use in commerce. Moreover, because additional sales of SCAR rifles did not occur until four years later, one may conclude that Plaintiff’s use of SCAR was too sporadic to give rise to a protectable interest. juror to conclude that Plaintiff’s sales to USSOCOM coupled with its promotional activities were sufficiently continuous and public to constitute use in commerce. Unlike other cases involving a single sale,97 the sale to USSOCOM was significant, amounting to over $634,000 in SCAR rifles.98 To fulfill its obligations under the contract, Plaintiff shipped firearms bearing the SCAR mark to various military institutions from the end of 2004 throughout 2005. Moreover, evidence in the record suggests the US Military is a prominent and influential consumer in the firearms industry, and therefore, Plaintiff’s development and sale of the SCAR rifle pursuant to the USSOCOM Program could be viewed as sufficiently public for trademark protection purposes. Indeed, several witnesses testified that the US Military orders get first priority in the firearms industry, including Mr. Clyde who acknowledged that delivery of SCAR‐Stock from Sage was postponed because Sage had to dedicate its manufacturing capacity to fulfilling military orders first. In addition, since the USSOCOM Program was the first open competition to create a new rifle in approximately forty years, the Program and Plaintiff’s participation in it generated publicity through numerous magazine and newspaper articles throughout 2005 and 2006. Moreover, Plaintiff’s pre‐sale promotional activities for its civilian‐friendly SCAR assault rifle prior to September 2006 may constitute analogous use of the mark. In that regard, Plaintiff promoted its SCAR rifles during visits to gun dealers and at trade shows, including the SHOT Show in Las Vegas, Nevada in February 2006, one of the largest tradeshows in the industry. In addition, Plaintiff distributed brochures, t‐shirts, hats, and its 2006 product log bearing the SCAR mark or referencing its SCAR rifle at these events. Finally, in March 2006, Plaintiff issued a press release announcing its plan to release a semi‐automatic version of its SCAR rifle to the law enforcement and civilian markets within the next two years. Plaintiff, however, did not sell its SCAR rifle to law enforcement and civilian consumers until late 2008. Alternatively, Defendant argues Plaintiff cannot rely on its pre‐September 2006 promotional activities to show use of the SCAR mark because its advertisements and promotional activities violated federal regulations and thus cannot provide the basis for a protectable trademark interest in SCAR. address Defendant’s arguments. Having considered the merits of Defendant’s unlawful use defense, however, the Court finds it to be without merit. 103 See, e.g., Davidoff Extension S.A. v. Davidoff Intern., Inc., 612 F. Supp. 4, 7 (S.D. Fla. 1984) (holding that defendants failed to meet their burden of showing plaintiff unlawfully used the Davidoff mark in the sale of cigars by illegally selling cigars containing Cuban tobacco in the US); see also Kratom Lab, Inc. v. Mancini, No. 11‐80987‐CIV, 2013 WL 3927838, at *3‐5 (S.D. Fla. July 29, 2013) (finding plaintiff had no valid trademark in “Mr. Nice Guy” mark used on incense because plaintiff fraudulently misrepresented that the incense was not for human consumption but plaintiff’s principals pled guilty to violating the Analogue Act, 21 U.S.C. § 813, and admitted that they intended the product to be used for human consumption). 104 Dessert Beauty, Inc., 617 F. Supp. 2d at 190.
v. P.A.B. Produits, 209 U.S.P.Q. 958 (T.T.A.B. 1988)). 106 General Mills, Inc., 24 U.S.P.Q.2d at 1274. 107 Dessert Beauty, Inc., 617 F. Supp. 2d at 190; Davidoff Extension S.A., 612 F. Supp. at 7.
speculation, surmise, or interpretation.”108 Here, Defendant cannot meet this burden. Defendant contends Plaintiff, through its advertisements and promotional materials, violated this regulation by printing unclassified information regarding Plaintiff’s participation in the USSOCOM Program and unlawfully attempting to associate its commercial SCAR rifle with USSOCOM by displaying the official emblem of US Special Operation Forces. Defendant further argues that Plaintiff’s adoption of the SCAR mark constitutes an unlawful attempt to associate itself with USSOCOM in the commercial arena. 108 General Mills, Inc., 24 U.S.P.Q.2d at 1274 (quoting Santinine Societa, 209 U.S.P.Q. at 965). 109 Defendant cites to this regulation as “48 C.F.R. § 5652.204‐9003.” The Court, however, was unable to find the cited provision. The Court is relying on the text of the regulation as set forth in a letter from USSOCOM to Plaintiff’s subsidiary. Pl.’s Resp. to Def.’s Statement of Material Facts, Ex. 9 [Doc. 100‐3]. 2010, USSOCOM addressed a letter to FNH USA, Plaintiff’s subsidiary, acknowledging the ambiguity as to whether the regulation even applied to Plaintiff’s contract. In that letter, USSOCOM notified FNH USA that SOFARS Section 5652.204‐9003 provides that release of unclassified information related to USSOCOM contracts requires prior written authorization. However, USSOCOM further explained that “this guidance was not made clear in the contract, as the applicable contract clause that identifies this guidance had not yet been established at the time of the contract award. Therefore, a unilateral modification to the contract incorporating SOFARS clause 5652.204‐9003 will be issued.”110 Because USSOCOM acknowledged that the guidance regarding the applicability of this regulation to Plaintiff’s contract was unclear, the Court cannot find that Plaintiff’s advertisements in 2006 constituted a per se violation of federal regulations. 110 Pl.’s Resp. to Def’s Statement of Undisputed Facts, Ex. 9 at FN102837 [Doc. 100‐3]. consider evidence of Plaintiff’s pre‐sale promotional activities when determining whether those activities, coupled with Plaintiff’s sale of SCAR rifles pursuant to the USSOCOM Program, constitute sufficient prior use of the mark in commerce to create a protectable trademark interest in SCAR prior to September 2006. 111 See Two Pesos, Inc. v. Taco Cabana, Inc., 505 U.S. 763, 774 (1992) (noting that the dual purpose behind the Lanham Act is to “secure to the owner of the mark the goodwill of his business and to protect the ability of consumers to distinguish among competing producers.”). failed, in part, because“[e]ven assuming that [plaintiff] unlawfully failed to pay taxes, its misconduct would be unrelated to the purpose of the federal trademark laws and, therefore, collateral and immaterial.”) (emphasis added). 113 Knights Armament Co., 654 F.3d at 1188. 115 Two Pesos, Inc., 505 U.S. at 769 (emphasis in original). 116 Gift of Learning Found., Inc., 329 F.3d at 797‐98. 117 Coach House Rest., Inc. v. Coach & Six Restaurants, Inc., 934 F.2d 1551, 1560 (11th Cir. 1991). 118 Knights Armament Co., 654 F.3d at 1188. 119 Welding Servs., Inc. v. Forman, 509 F.3d 1351, 1358 (11th Cir. 2007). Here, both parties argue no genuine issue of material fact exists as to whether their respectivetrademarksare distinctive. This Court disagrees. Plaintiff argues that its SCAR mark is inherently distinctive, or alternatively, if it is descriptive, it has acquired distinctiveness through secondary meaning. In response, Defendant argues that Plaintiff’s use of the SCAR mark was merely descriptive of the firearms solicited by the USSOCOM Program, and the mark did not acquire secondary meaning in the firearms industry prior to Defendant’s first use of SCAR‐Stock in September 2006. As explained below, facts support both parties’ positions, and, therefore, a genuine issue of material fact remains as to whether Plaintiff’s SCAR mark is merely descriptive or inherently distinctive of the rifles upon which it is used. 120 G. Heileman Brewing Co. v. Anheuser‐Busch, Inc., 873 F.2d 985, 995 (7th Cir. 1989). 121 Xtreme Lashes, LLC v. Xtended Beauty, Inc., 576 F.3d 221, 232 (5th Cir. 2009). F.3d 1179 (11th Cir. 2011). or descriptive phrase is protectable ‘if the party claiming protection for the abbreviation shows that the abbreviation has a meaning distinct from the underlying words in the mind of the public.’”124 When determining how the public views the mark, courts should consider sources such as consumer surveys, use of the mark in media publications, use of the mark by competitors in the industry, and the trademark claimant’s use of the mark.125 After considering these factors in this case, the Court finds a genuine issue of material fact exists as to whether SCAR is distinctive. 123Am. Historic Racing Motorcycle Assʹn, Ltd. v. Team Obsolete Promotions, 33 F. Supp. 2d 1000, 1004 (M.D. Fla. 1998), affʹd sub nom., Am. Historic v. Team Obsolete, 233 F.3d 577 (11th Cir. 2000). 124 Knights Armament Co., 647 F. Supp. 2d at 1331 (quoting Forman, 509 F.3d at 1359). 125 See Colt Defense LLC v. Bushmaster Firearms, Inc., 486 F.3d 701, 706 (1st Cir. 2007). SCAR is recognized as an acronym in government jargon to refer to the USSOCOM Program. Moreover, Plaintiff’s own use of SCAR with its underlying phrase could support a finding that the mark is descriptive. If a trademark claimant uses the acronym in conjunction with its underlying phrase, courts are reluctant to find that the acronym has an independent meaning apart from the underlying phrase.127 In several of its advertisements and promotional materials, Plaintiff displays the SCAR mark with the underlying phrase presented predominately beside or underneath it. For example, Plaintiff places the two side by side in its March 2006 press release entitled “The Making of the 21st Century Assault Rifle: SCAR SOF Combat Assault Rifle.”128 Because SCAR is used at times with Special Operation Forces Combat Assault Rifle, the public could perceive that SCAR does not have a meaning distinct from its underlying phrase, and, by extension, is merely descriptive of a type of rifle. 126 Paul Hochstrate Dep. 19:25‐20:18 [Doc. 91‐6]. Services Inc.” had a distinct meaning apart from the underlying phrase because advertising material displayed the WSI logo next to the underlying phrase); Knights Armament Co., 647 F. Supp. 2d at 1331 (finding that party failed to show “UNS” had a distinct meaning where the party “consistently use[d] UNS in conjunction with and as an abbreviation of ‘Universal Night Sight.’”). 128 Mills Dep., Ex. 4 [Doc. 89‐5]. 129 Umansky Decl., Ex. 6 [Doc. 89‐3]. 130 Def.’s Statement of Material Facts, Ex. H at FN100415 [Doc. 90‐8]. 131 Accord American Historic Racing Motorcycle Association, Ltd., 33 F. Supp. 2d 1000, 1004‐05 (M.D. Fla.
1998) (holding that “BEARS,” an abbreviation for “British‐European‐American‐Racing Series” was inherently distinctive for a class of motorcycles, in part, because BEARS doubled as both an animal and as an abbreviation, and thus consumers may associate the word with multiple things). 132 See Colt Defense LLC, 486 F.3d at 706.
products. Therefore, a reasonable juror could find that SCAR is inherently distinctive. Defendant’s position that SCAR‐Stock is inherently distinctive is inconsistent and contradicts its position that Plaintiff’s SCAR mark is merely descriptive. According to Plaintiff, SCAR is either inherently distinctive for firearm products or it is not; Defendant cannot have it both ways. This Court disagrees. possible descriptiveness of a designation is highly dependent on the goods or services in connection with which the designation is used. A term can be descriptive of one product and nondescriptive of another.”). 134 Polo Fashions, Inc. v. Extra Special Products, Inc., 451 F. Supp. 555, 559 (S.D.N.Y. 1978). Nevertheless, given the conflicting evidence regarding Defendant’s motive in adopting the mark, the Court finds a genuine issue of material fact exists as to whether SCAR‐Stock actually serves as an acronym for the product’s origin. Although Mr.
136 Plaintiff further argues that Defendant’s position contradicts its argument made to the USPTO following denial of its SCAR‐Stock application on descriptiveness grounds. Specifically, Plaintiff contends Defendant admitted that SCAR could not be both descriptive and distinctive as used on firearms products. In response to the initial denial of its application, Defendant stated “[i]t seems incongruous to suggest that a term like SCAR, which has no dictionary definition connected to firearms, rifles or gun stocks, is both descriptive of a type of assault rifle and at the same time a distinctive trademark for a particular brand of assault rifle.” Def.’s Statement of Material Facts, Ex. D [Doc. 90‐4]. While the Court recognizes the tension between these two arguments, they are not wholly inconsistent because the argument before USPTO refers to the use of SCAR specifically on rifles. Defendant’s arguments to the USPTO are merely additional evidence for the jury to weigh in its determination of distinctiveness. adopted the SCAR‐Stock mark, in part, to take commercial advantage of the popularity of the SCAR rifle. Although Mr. Clyde specifically disclaims any bad faith and attempts to cast doubt on Smith’s credibility, it is not the province of this Court to weigh the evidence or make credibility determinations at the summary judgment stage.137 Accordingly, a genuine issue of material fact exists as to the reasons for adopting, and the meaning behind, Defendant’s mark. Therefore, whether the mark is distinctive is a question for the jury. Based on the foregoing, the Court finds that genuine issues of material fact exists as to which party first used the mark in commerce and whether either or both parties’trademarksare distinctive. Because these issues are central to all the claims raised in this case, the parties Motions for Summary Judgment [Docs. 84 & 85] are DENIED. SO ORDERED, this 8th day of January, 2015. 137Anderson v. Liberty Lobby, Inc., 477 U.S. 242, 255 (1986).